“You can’t build the next great games studio in New York,” Playdots Inc. CEO Paul Murphy recalls being told. Two hits and 50 million ‘Two Dots’ downloads later, Murphy hasn’t just proved his peers wrong – he’s redefined how location can inspire your product rather than restrain you. Since the company’s birth just a little over two years ago, Playdots has grown from two employees to 29. Its roster is full of designers and developers from around the world – something Murphy says sets it apart from other gaming startups. “Being in New York City is incredibly important to our identity,” Margaret Robertson, Playdots’ Game Director, tells me. “To a lot of people, games are fantasy – they don’t have a lot in common with your life. 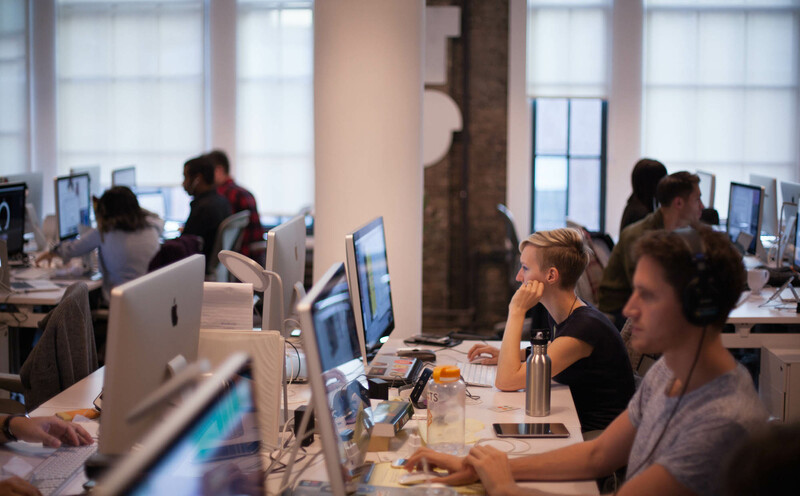 Based in the Betaworks office in NYC’s Meatpacking District, the Dots team is steps away from the High Line elevated park, the Standard Hotel, and Chelsea Market, to name a few. This influence is clearly reflected in ‘Two Dots” artistic style. Clean, modern lines represent NYC’s futuristic attitude, while the story of travel and adventure echoes those of many young hopefuls who move to the big city. Playdots’ in-house Data Scientist Tony He agrees: “One difference I’ve seen in gaming in New York is that it’s more about design and is art-driven. Playdots’ Head of Product Jon Lai, who joined the company in March from Riot Games (‘League of Legends’) in Los Angeles, says New York has both a “work hard, play hard” mentality and proximity to great pools of internationally diverse talent. Following its recent funding from Tencent, Playdots is working hard to expand its games to China. Some of the challenges include adding different types of gameplay that suit the market. International expansion isn’t just Playdots’ primary goal. The team currently has 10 dedicated staff members working on new game concepts to add to its roster. “In most companies, the way you come up with games is to think about the game play and monetization strategy,” Murphy says. At Dots, he prefers to let the team get creative with the concept without qualitative scrutiny before looking into how the title could potentially make money. “To us, it’s more important that the game resonate with our audience,” Playdots’ Head of Marketing Christian Calderon says. While some companies fire people for mistakes, he says the learning process is crucial for Dots, like it is for any startup. After two hits under its belt, the pressure of putting out the third installment is weighing upon the Dots team – but the designers are also excited to face that challenge. “This is off the record, okay?” Robertson tells me, then hands over her iPhone with a prototype of the next potential game. If ‘Two Dots’ is any indication of how good New York has been to the company, expect to go on another beautiful adventure with the Dots team in the very near future.